You are at:Home»Health & Welfare»Recovery Position: How should farms best recover from an outbreak of avian disease? 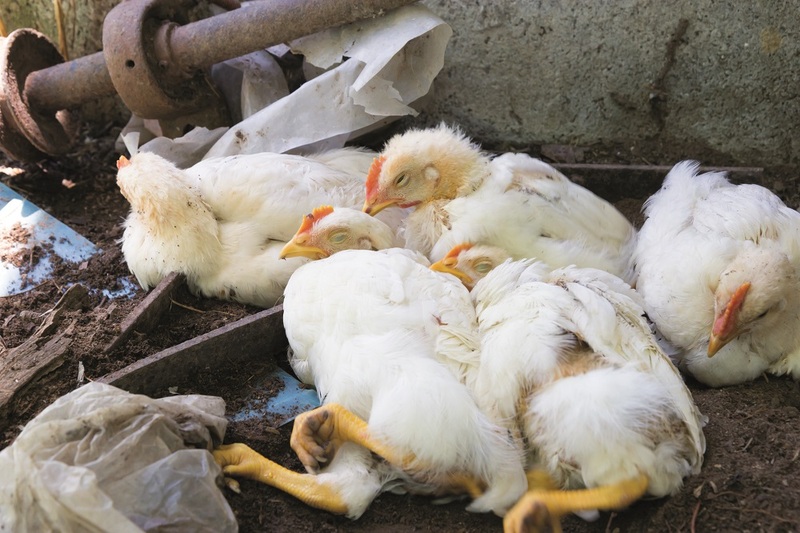 Recovery Position: How should farms best recover from an outbreak of avian disease? Getting back to business after a disease outbreak is never easy. But government and the poultry sector have come together to advise farmers how best to do just that. How should farms best recover from an outbreak of avian disease? That was the topic of discussion at a joint industry and government workshop organised by The Poultry Health and Welfare Group (PHWG) to review the steps which need to be taken following an outbreak of Notifiable Avian Disease (NAD) to restore normal activities for the affected farm, the zone and the country as a whole. The meeting was jointly chaired by Mark Williams of PHWG and Alex Thomas of Defra. Poultry veterinary health expert Paul McMullin started the day by outlining different UK poultry production systems covering various sectors of the industry. He emphasised biosecurity procedures in ‘peacetime’ remain very important in controlling the extent of disease outbreaks. Production systems are complicated and do not have an ‘off button’, so good communication and contingency planning is important to limit the impact of disease. On the plus side, commercial poultry production pyramids have short generation intervals and great powers of multiplication which can provide resilience in the recovery phase of disease outbreaks. Normal industry practices already rely heavily on effective cleansing and disinfection between successive flocks, so in the event of a notifiable disease outbreak, the objectives of industry and of government are closely aligned. cleaning & disinfection to prevent disease spread and so achieve country freedom as soon as possible. Professor Ian Brown of the Animal and Plant Health Agency (APHA) and head of the International Reference Laboratory for Newcastle Disease and Avian Influenza (AI), then reviewed the science relevant to the recovery from NAD. He began with a review of the international occurrence of these diseases and the timely reminder that even though there were no cases in poultry in the UK in 2018 we cannot reduce our guard. There is now very good evidence of international spread of these infections by wild birds and they can sometimes persist for long periods in native non-migratory bird populations, emphasising the ongoing importance of biosecurity procedures. Brown went on to explain how the PHWG had been working closely with industry and Government experts to improve understanding of the process of recovering from NAD outbreaks. His laboratory has carried out detailed assessments of the ability of different strains of NAD viruses, particularly highly pathogenic avian influenza (HPAI), to survive. Some strains survive more easily than others. This work has been expanded to look at the survival of these more robust strains on the sort of equipment and surfaces found on farms at either 4oC or 20oC. The results demonstrated shorter survival at higher temperatures. Rapid inactivation after application of a government approved disinfectant (correctly diluted and applied in accordance with manufacturer’s instructions) was also readily demonstrated. APHA’s Verity Horigan then presented the results of a qualitative risk assessment commissioned by PHWG which assessed the cleaning and disinfection requirements after an AI outbreak in commercial layers or meat chickens, based on viral survival characteristics and different production systems. It concluded that, provided secondary cleaning and disinfection is carried out with due diligence (ie to a defined code of practice as agreed by both industry and government), the risk of re-infection of AI viruses from equipment is considered negligible. It’s therefore not necessary to dismantle complex equipment in every case. The final formal presentation by Dr Paul Honeyman dealt with the APHA approach to dealing with NAD outbreaks and ensuring the most appropriate cleaning and disinfection process was applied. Following the AI outbreaks in 2014 and 2015, a review of the requirements for secondary C&D procedures was undertaken, and the PHWG agreed to support this process by funding the work described in the previous presentation. The World Organisation for Animal Health (OIE) sets out requirements which determine a country’s disease-free status. Following an AI outbreak, government applies preliminary disinfection. The cost and responsibility for undertaking secondary cleaning and disinfection lies with the keeper. The date of preliminary disinfection triggers the start of the process for the lifting of control zones and is also the trigger to allowing the keeper to start the process of secondary C&D and, eventually, restocking. Where a keeper opts to undertake C&D, APHA will agree with the keeper which procedures need to be carried out and set out a timeframe. A written plan for the work is completed within 10 days of PD by the keeper in liaison with APHA vets and the private veterinary surgeon, detailing how the various actions will be carried out and which disinfectants will be used. Following PD, there are three options for the occupier of an Infected Premises (IP). These options affect how soon restocking can occur and when the OIE ‘country freedom’ clock starts. Keeper performs secondary C&D as set out in the OIE terrestrial code but stops short of full secondary C&D as defined by the EU. This option includes biosecure disposal of litter and manure, washing and brushing walls and floors and applying degreaser and approved disinfectant. If the producer does not progress to the next option, the premises remains restricted for 12 months from the date of PD and, subject to an APHA veterinary risk assessment, other non-poultry-related activities on site may be licensed. Keeper undertakes full secondary C&D. This involves removing and treating or biosecure disposal of litter and the removal of organic matter from all exposed surfaces, C&D of fixtures and fittings including any associated equipment before two cycles of washing, degreasing and applying approved disinfectant. It is not generally necessary to dismantle complex machinery although all exposed sources will need to be cleansed and disinfected. Restocking with sentinel birds can occur 21 days after APHA is content that secondary C&D has been achieved. If it becomes clear that the producer is no longer able to progress with one of the C&D options above he will still be able to opt for site closure as detailed below. If the keeper does not undertake any further cleaning, because of impracticality, expense, or because poultry production has ceased, the keeper signs a declaration to demonstrate that they understand that APHA will restrict their premises for 12 months from the date of PD. All poultry activity is prohibited and most other activities will be prohibited. Restocking can occur 12 months after the date of PD. If the producer opts for site closure then this will be subject to a binding contract not to access the buildings or to undertake any form of poultry activity within 12 months, subject to a 2-week cooling off period. Workshop participants were then invited to consider a series of questions relevant to effective C&D after NAD in break-out sessions led by poultry vet Daniel Parker. This included a review of procedures and notifications as well as an opportunity to grade photos from practical farm C&D activities. Footnote: It is with great sadness that Dr Paul Honeyman has since passed away. As a member of the Veterinary Technical Group of the PHWG, his extensive knowledge will be sadly missed by his colleagues in government and industry alike, says Mark Williams.